MAMBAJAO, CAMIGUIN, Feb. 1 (PIA) – Camiguin holds Business One Stop Shop (BOSS) on for the entire month of January to facilitate fast, easy and convenient business registration system. All national line agencies and local government units (LGUs) extended its services in every town around the province pooling all approving personnel in one place. Aside from the one-stop registration, BOSS also offers application or renewal of business permits such as the issuance of zone clearance, building inspection clearance and sanitation clearance. 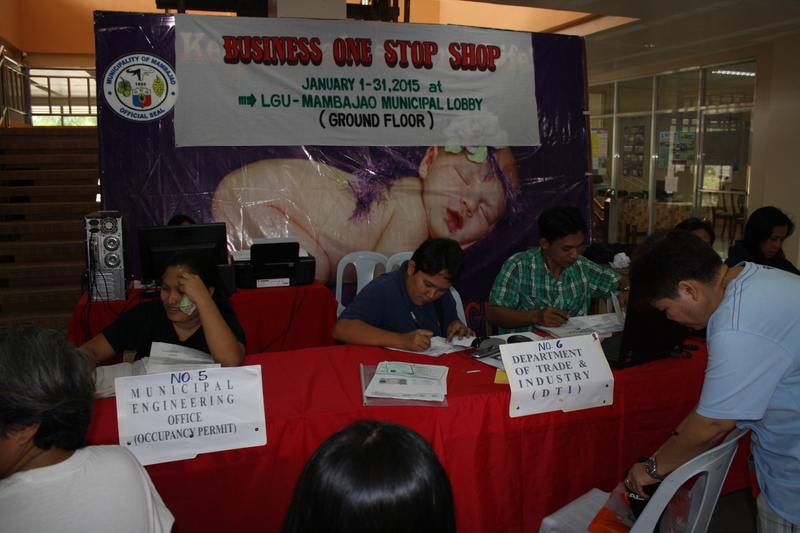 The Department of Trafe and Industry (DTI) meanwhile provided personnel in support to the LGUs. Other participating agencies include the Social Security System (SSS), Philhealth, Bureau of Fire Protection, Bureau of Internal Revenue (BIR) and the Philippine National Police (PNP). DTI meanwhile continue to urge LGUs to sustain a systematic and efficient business licensing and registration system for a business and investor friendly environment. Boss likewise encourage more businessmen to renew their respective businesses or start a new one by making the process less tedious, faster and cheaper. MAMBAJAO, Camiguin, Jan. 26 (PIA)– The Local Government of Mambajao spearheaded a convenient business registration system, which all national line agencies (NGAs), along with the Department of Trade and Industry (DTI) and local signatories are pooled in one place to facilitate faster business license processing for the entire month of January. Dubbed as Business One Stop Shop (BOSS), the program aims to encourage more businessmen to either renew their respective businesses or start a new one by making the process less tedious, faster and cheaper. It likewise encourages investors to put their money’s worth in any business endeavor. The Municipality of Mambajao has been adopting Business Processing and Licensing System (BPLS) for 5 years now and has been an active partner of BOSS or DTI since January 2011, the local government of Mahinog, meanwhile, is also on their third year. Aside from the one-stop registration, BOSS also offers application or renewal of business permit, which includes securing a zone clearance, a building inspection clearance and a sanitation clearance, all for securing business permits. As a one of the primary agencies for business and economic development, DTI-Camiguin joined actively in the activities of the local government units (LGUs) by providing personnel every BOSS schedule.